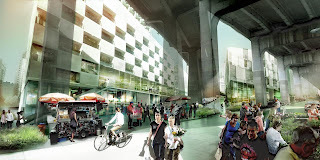 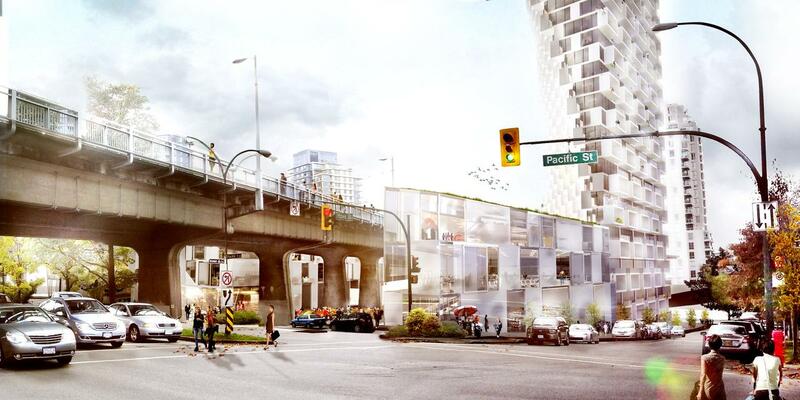 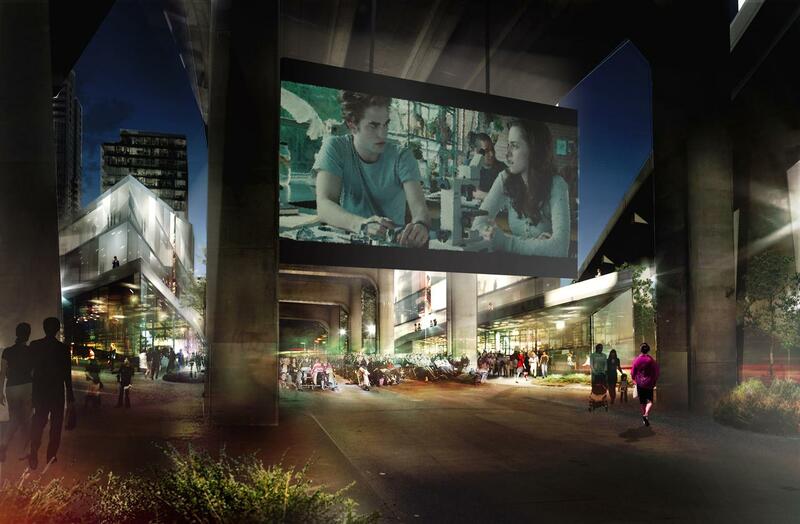 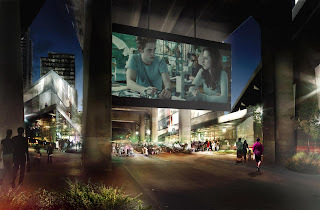 It will announce the entry point into downtown Vancouver from Granville Bridge, forming a gateway to the city. 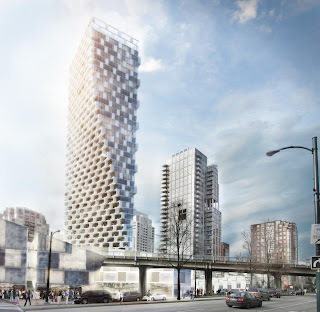 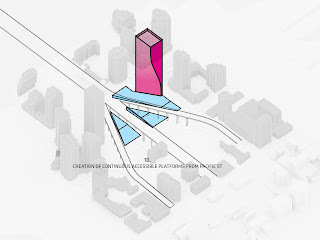 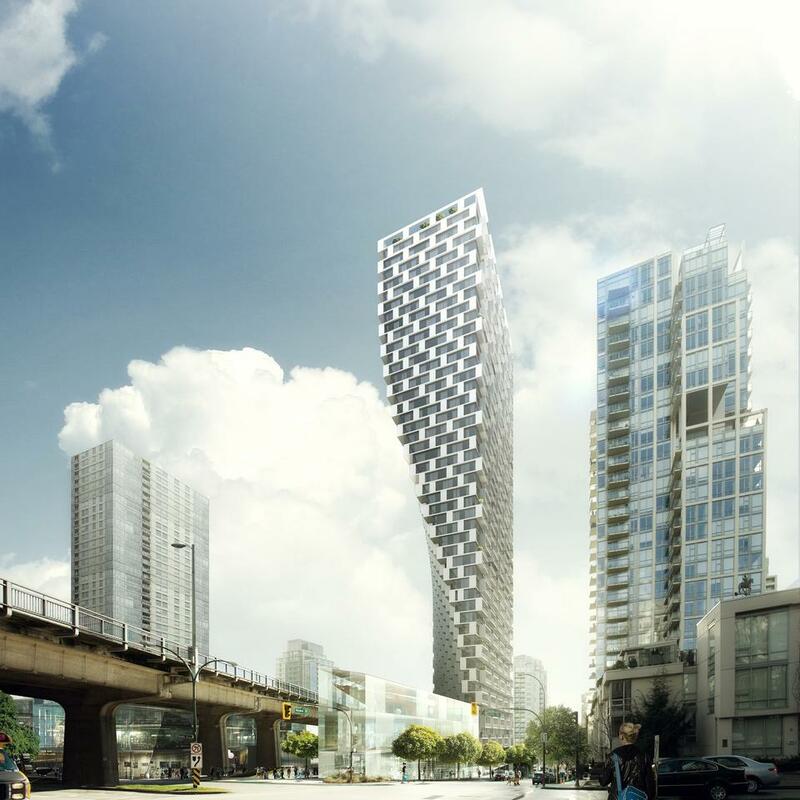 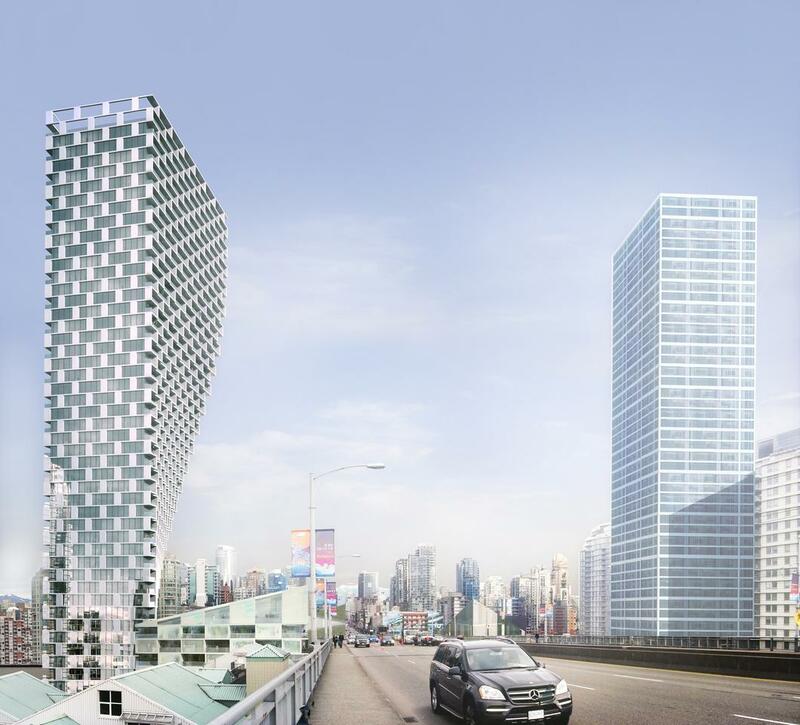 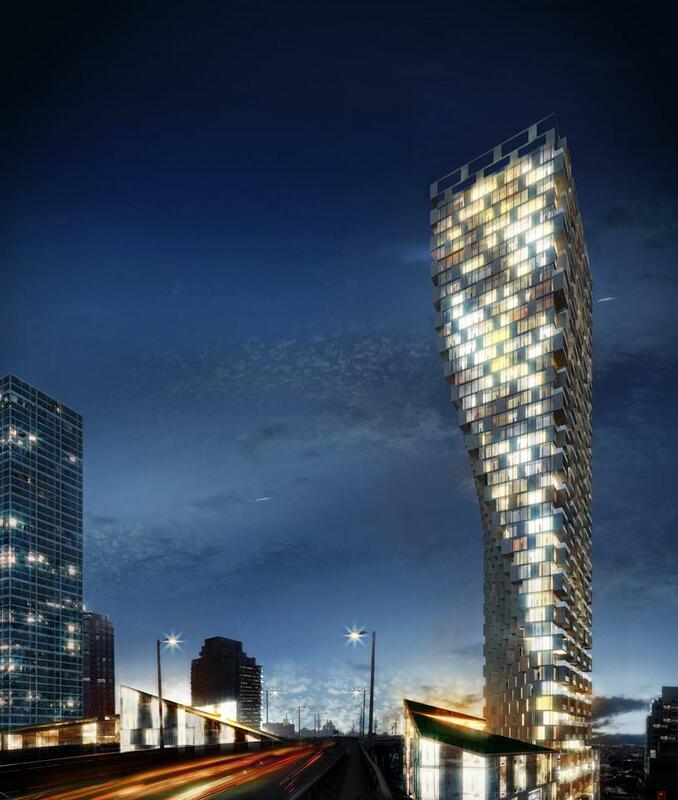 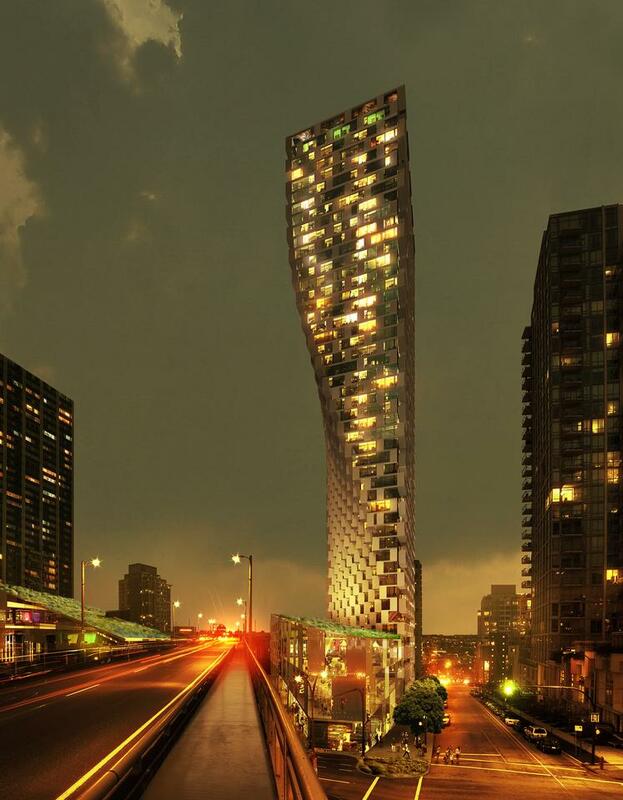 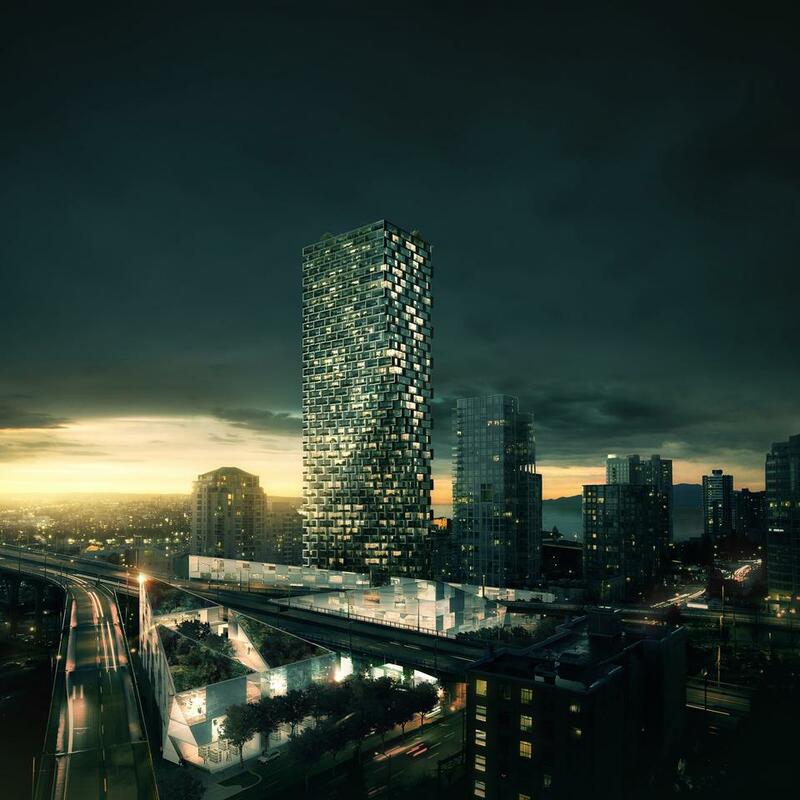 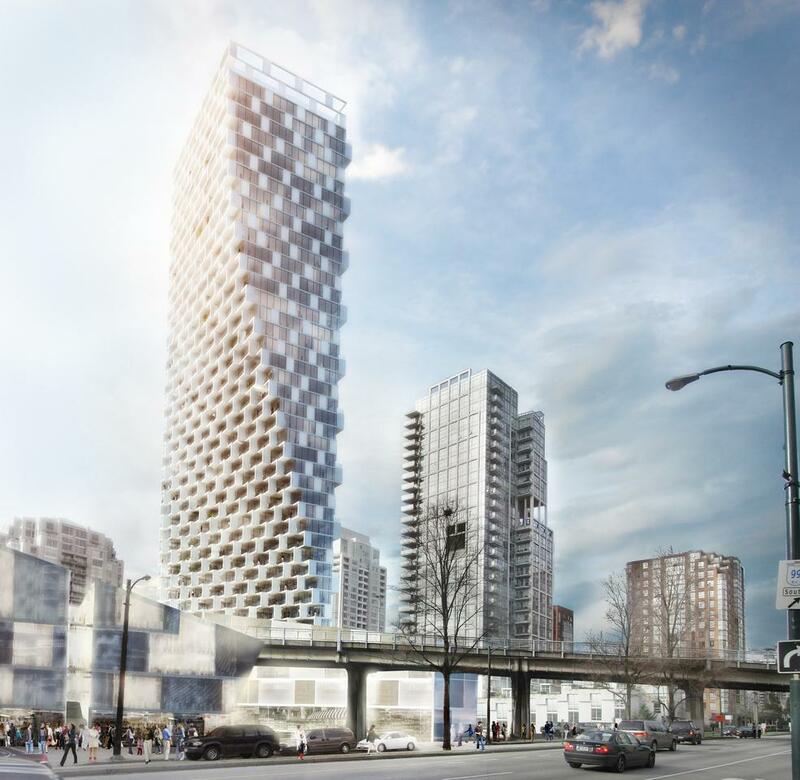 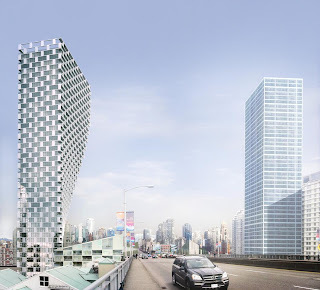 The tower and base are a new interpretation of the local typology deemed ‘Vancouverism’ of a new urbanist podium coupled with a slender tower, which seeks to preserve view cones through the city while activating the pedestrian street. 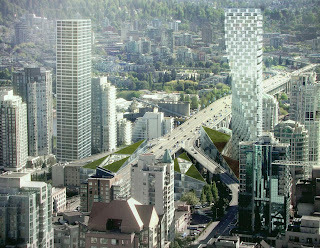 The residential tower, in its height and proximity to the creek, is uniquely situated with views to both the water and the mountains, granting visual access to the breadth of Vancouver’s natural surroundings. Negotiating a difficult site trisected by the Granville overpass and burdened by setbacks, the tower will maximize its mass where it has the most impact. 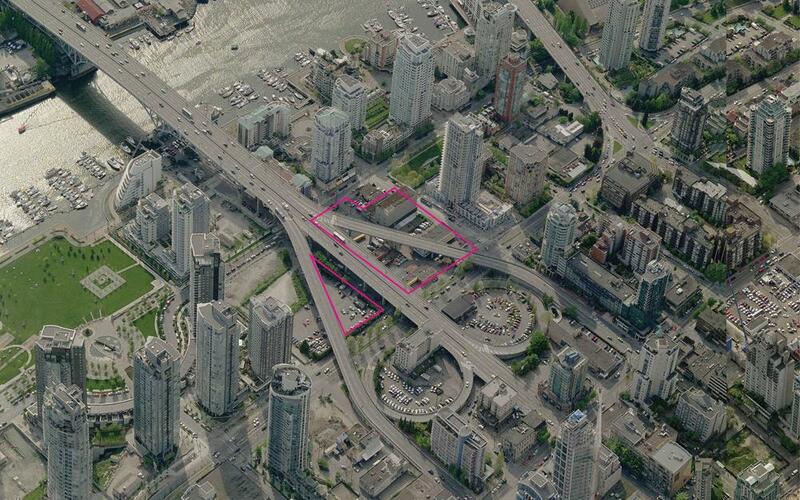 At its base, a 30m setback from the highway dictates a triangular footprint on the ground. But as it ascends in elevation, the tower clears the zone of noise and visual pollution. 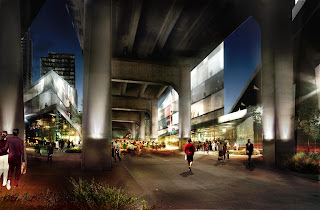 It then exploits the opportunity to overcome the setback and reclaims the valuable area. 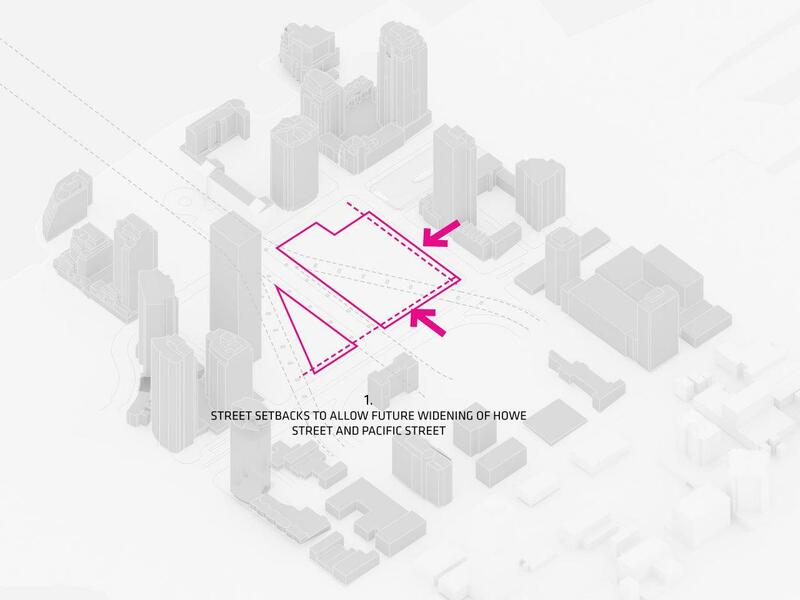 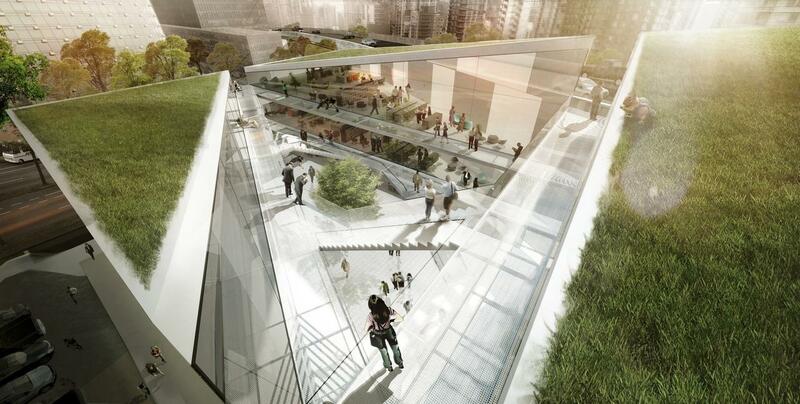 In doing so, it provides an icon for the city’s skyline and a generous public space at its base. 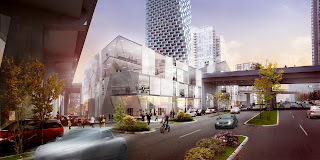 Beach and Howe podium is a mixed-use urban village. 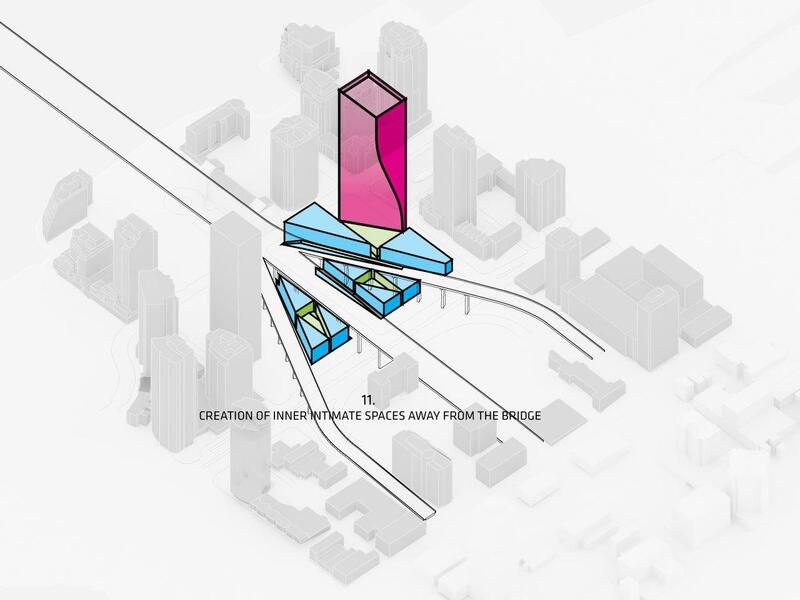 These three triangular complexes are composed of intimately-scaled spaces for working, shopping and leisure which face onto public plazas and pathways. 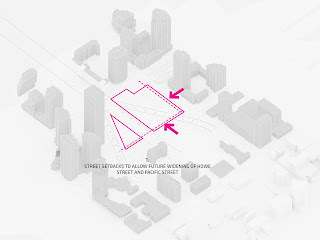 The additional public spaces adds to the existing streets, giving the neighborhood a variety of open and covered outdoor spaces in various scales, ample for a variety of use and events.